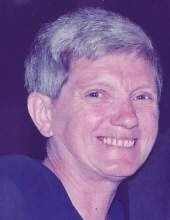 Paula Jean Sheedy, 66, of Mazon, passed away peacefully with family by her side on Monday April 8, 2019 at her residence. Mass celebration will be held at 10:00 am on Tuesday, April 16, 2019 at Sacred Heart Catholic Church in Kinsman, IL, with Rev. Ron Margherio officiating, Cremation rites will follow and private family inurnment in St. Patrick’s Catholic Cemetery, in Ransom will occur at a later date. Visitation will held on Monday from 4:00-8:00 pm at Sacred Heart Catholic Church. Memorial contributions in her name may be made to the American Cancer Society. Hager Memorial Home in Dwight is handling the arrangements. Paula was born in Ladd, IL on May 22, 1952, a daughter of Paul and Geraldine (Zimmerman) Filippini, she married Randy Sheedy in Ladd, IL on February 15, 1975, he survives. Also surviving are her daughter: Erin (Todd) Hancock of Woodbridge, VA; son: Bud (Katie) Sheedy of Verona, IL; four grandchildren: Marcus, Brady, Brooklyn and Kendall; three sisters: Arlette Woodshank of LaSalle, IL, Michele Hanck of Spring Valley, IL and Nancy Galletti of LaSalle, IL, and life long best friend Linda Bookout and her two daughters Angela Woods and Jennifer Jensen. Paula was preceded in death by her parents. Paula was a member of Sacred heart Catholic Church, she had served on the Kinsman Village Board and served as a Highland Ag 4-H Club leader, she was a cook and bartender at Ryan’s Tap in Kinsman. She was an avid Bears and Cubs fan and loved spending time with her grandchildren. "Email Address" would like to share the life celebration of Paula Jean Sheedy. Click on the "link" to go to share a favorite memory or leave a condolence message for the family.